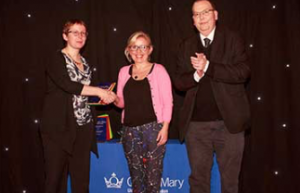 Projects, as we’ve received two very special awards, in recognition of achievement in public engagement across Queen Mary University of London. 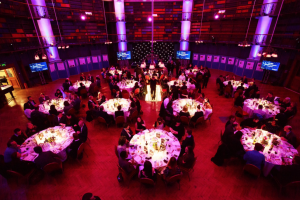 The night showcased forty-two projects across fifteen awards demonstrating the exceptional work taking place at QMUL to share, enhance and apply research and teaching. Finalists included co-produced film projects, museum exhibitions, performance led social action and innovative media campaigns, academic innovation and student enterprise. 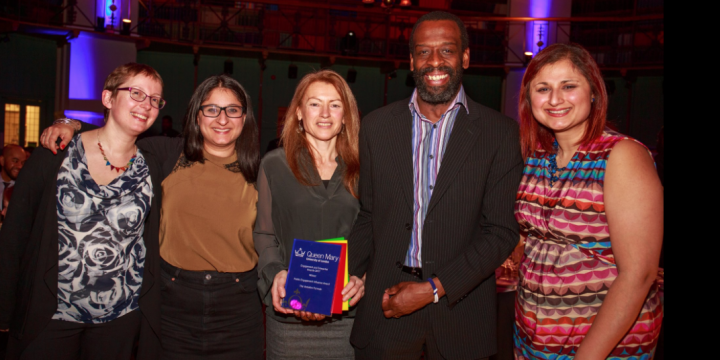 People’s Palace Projects was granted a special awards for Developed Understanding in Public Engagement, acknowledging the 20 years of work exploring the ways in which the arts can respond to urgent social crises, through both cutting edge research and long term international collaborations. Also, The Verbatim Formula, a project developed by Professor Maggie Inchley, Dr. Sylvan Baker and Sadhvi Dar in partnership with PPP was given the Influence Award, in recognition for the work developed with looked after children and care leavers to provide positive interventions for this often disadvantaged cohort, while collecting testimonies for research into the care system. On behalf of our team, we thank Queen Mary’s Public Engagement Department and congratulate all the other winners.